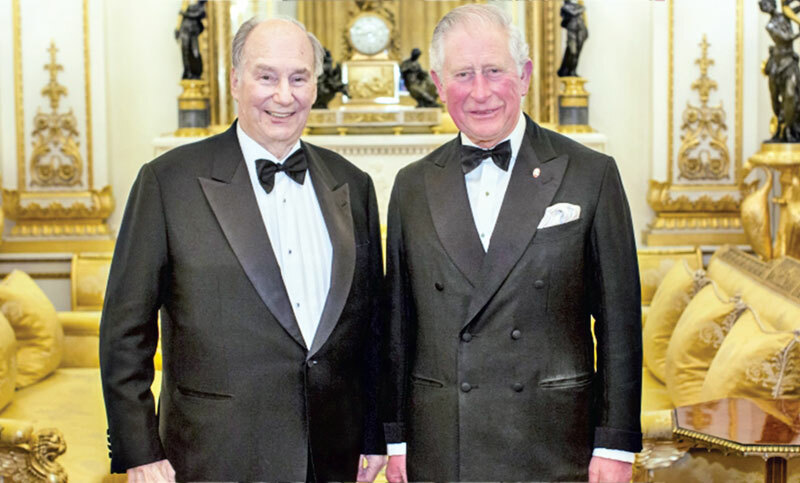 Prince of Wales, Founder and President of The Prince’s Trust on Tuesday announced the Aga Khan as the Global Founding Patron of The Prince’s Trust’s work. Supporters of the Prince’s Trust such as Amal and George Clooney, and long-term Ambassadors Benedict Cumberbatch and Sir Tom Jones, joined the event at Buckingham Palace to celebrate the work of The Prince’s Trust around the world. Founded by the Prince of Wales, the Prince’s Trust has been helping vulnerable young people across the UK since 1976, and is now helping to tackle the global issue of youth unemployment, and supporting young people and their communities to have more positive futures. The Aga Khan is the 49th hereditary Imam of the Shia Ismaili Muslims and founder and chairman of the Aga Khan Development Network, which works in 30 countries around the world to improve the quality of life of millions of people.